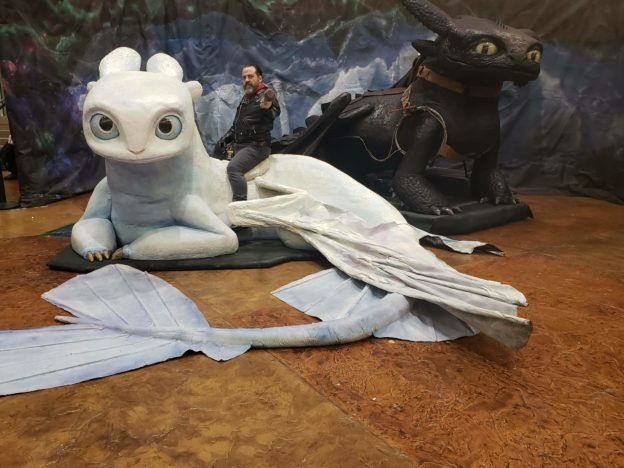 Based on the two main characters that appear in the latest “How to Train Your Dragon” movie, “Toothless” and “Light Fury”, will be appearing at the Grand Rapids Comic-Con on November 8-10! 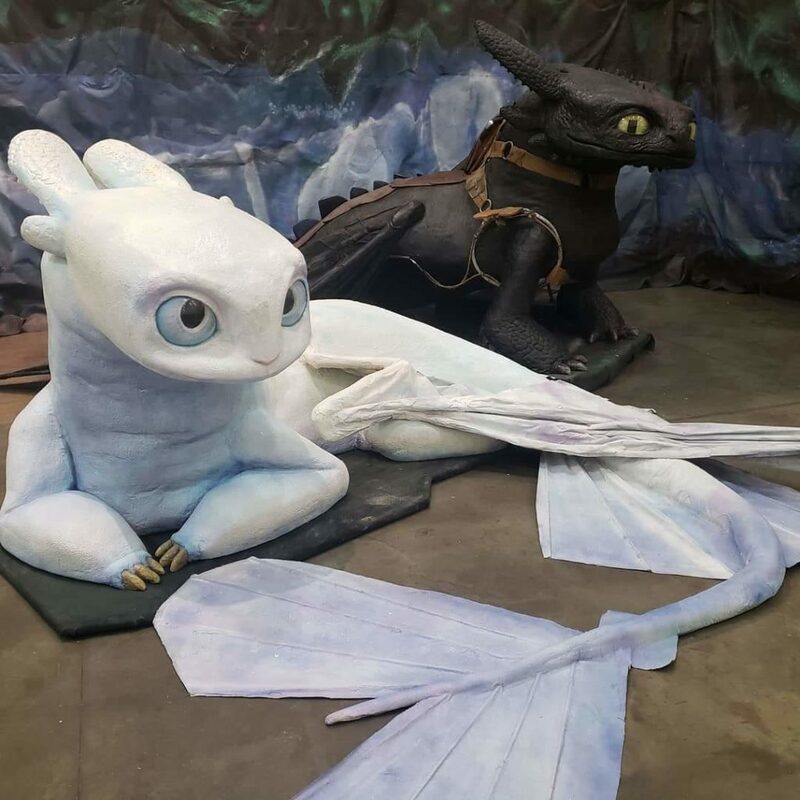 The prop building company “BrazenMonkey” by John Marks has made these highly realistic, full-scale, “rideable” dragons. These creatures, along with an assortment of viking props, are available for photo ops in a fully immerse experience to delight of the young and young at heart. All are welcome to take pictures, and every dragon “rider” will receive a special commemorative dragon rider coin (while supplies last) with partial proceeds going to Make-A-Wish Foundation. BrazenMonkey’s Facebook page is here.